Game Preview: Barrie Colts vs Niagara IceDogs. #OHL - Very Barrie Colts | A website covering the Barrie Colts of the OHL. 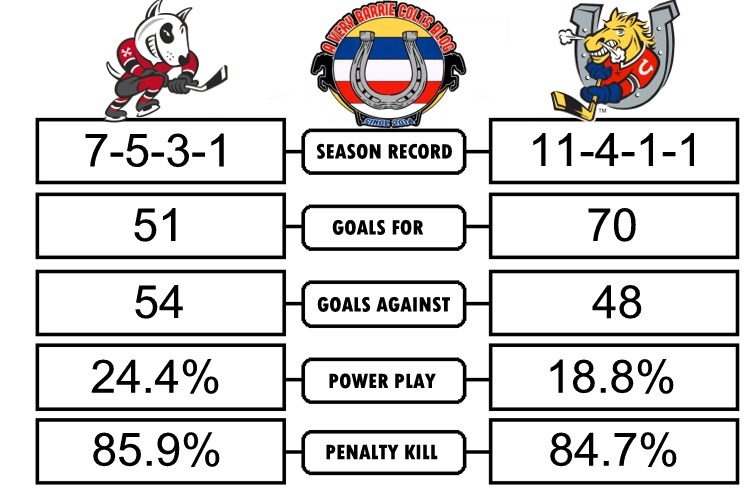 Tonight the top teams in the Central Division will face-off when the Barrie Colts (11-4-1-1) host the Niagara IceDogs (7-5-3-1) for the first of six meetings this regular season. Niagara enter BMC tonight riding a 6 game losing streak. Their last win came back on October 19th over the Mississauga Steelheads. Tonight is their first game since their 4-1 loss last Saturday against the Sault Ste. Marie Greyhounds. Kirill Maksimov scored the only goal for the Dogs, while Stephen Dhillon made 30 saves in the loss. As the game went on, Niagara seemed to lose energy and that resulted in a loss of chances as the game progressed. No doubt that the week off came at the right time and hopefully (for them) they can use the rest obtained when facing a Colts team that is coming off a hard fought win last night in Sudbury over the Wolves. 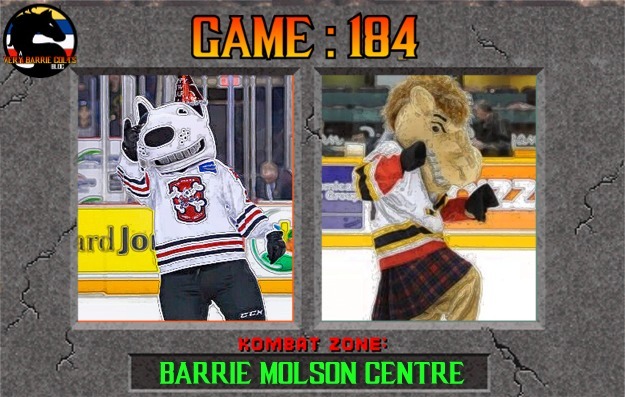 Barrie managed to pull together a 4-3 OT win last night against the Sudbury Wolves. Dale Hawerchuk had a thin Colts roster with Andrei Svechnikov still weeks away from returning from hand surgery. The team also was playing without Curtis Douglas, who served the second game of a 2-game suspension, Ryan Suzuki who is playing with Canada at the U-17 tournament and Zachary Magwood who was out injured. Sudbury dominated the game for the most part but after two periods still were trailing the Ponies 3-2 despite having an edge in shots 22-13. Heitzner, Willms and Keane all scored for the Colts in regulation. Hutcheson would score for Sudbury halfway through the 3rd to force overtime. Ben Hawerchuck would score the game winner in OT to give the Colts the win. Loe Lazarev made 24 saves in the win and was named the games 2nd star. Barrie was awful in the face-off circle only winning 20 of 62 draws. Special teams were a strong point for the team having only taken 2 minor penalties which they killed both of, and scoring 1 PP goal on 2 man-advantages. The team played a more disciplined game than fans are used to seeing from a team that leads the league in penalty minutes. Luckily for us, we could count on our friend Justin to share our favourite GIF following a win over the Wolves. Barrie is 6-2-0-1 at home while, Niagara is 4-3-2-0 on the road. Barrie will want to practice face-offs headed into tonight. Though, it didn't hurt them last night, it is important for them to do a better job of gaining puck possession. If they can establish puck control off the draw, it will be easier for them to set up plays and hopefully generate more scoring chances. If they can also maintain the level of discipline they played with tonight, they could skate away tonight with another win and extend their lead over the division.